Forget about scenic postcards. 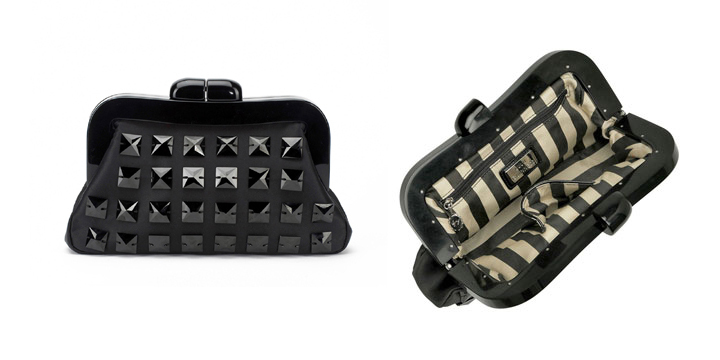 Next time you’re in London, get me one of these as a souvineer- LuLu Guiness clutches! 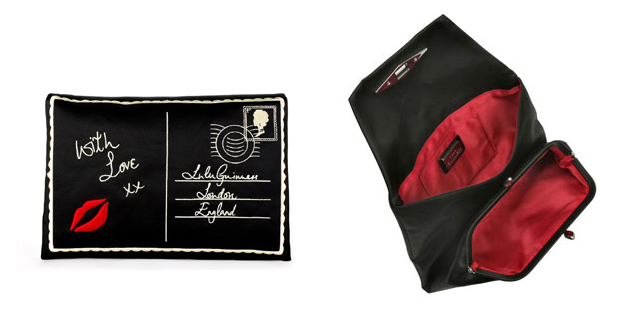 This postcard clutch is infinitely more useful and chic. It even says London on it! You can’t get more touristy than that. There are many compartments too! Though my cousin has it, and she tells me that she can’t fit much in because it is so thin- just her iPhone and a few essentials. I’m usually not a fan of blatant displays of souvenirs (i.e. though shalt not wear your I heart NYC t shirt out in public). But, I think this Union Jack clutch is subtle enough. The sequins glams it up, don’t you agree? We’re veering a bit away from souvenirs but isn’t this lip clutch so cool? It doesn’t say London as the others do, but it screams London punk fashion. While we’re on the topic of clutches, I really wouldn’t mind this one either. It would do so well on a night out. And check out that lining! So yes, the next time you drop by London, pick up one of these. There’s a flagship store somewhere, but FYI they also have a good size collection at the basement of Harrods- right next to the tax counter! but it’ll burn a hole in my pocket though. 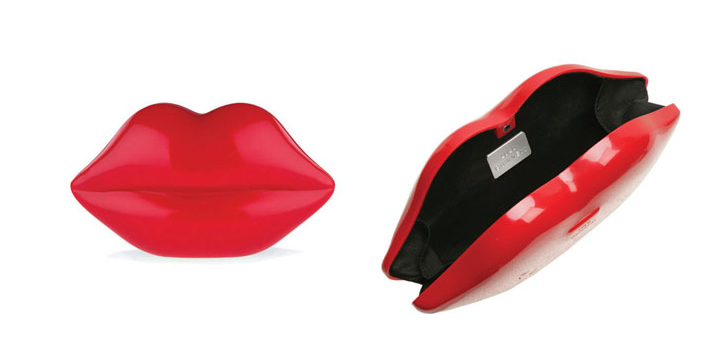 the postcard clutch is gorgeous, and the lips one is so cheeky! There’s a shop in Singapore that sells them, maybe I’ll get one soon. Hope you will too! the lipstick 1 is very chio…hahah! I love Lulu Guinness. Another website I look for trendy accessories is at Runway Rundown. They find affordable versions of the latest fashion. just checking out your blog for the first time and must say you have quite a taste ;). I was just wondering what do you do ? As in what field you are working in ? if you don’t mind me asking.